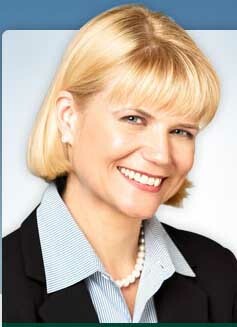 Siobahn "Sam" Bennett, Congressional Candidate PA-15. Audio: Part 1 and Part 2. Allentown City Democratic Party Chairwoman Siobhan (Sam) Bennett is running against incumbant Republican Congressman Charlie Dent in Pennsylvania's 15th Congressional District including Lehigh and Northampton counties and parts of Berks and Montgomery counties. Bennett is the statewide director of Properties of Merit of Pennsylvania, a community and economic revitalization program she founded 25 years ago. This race has been targetted by the Democratic Congressional Campaign Committee since Dent only took 53% of the vote in 2006 running as an incumbant against the virtually unknown Northampton County councilman Charles Dertinger who he outspent $1,300,000 to $89,000. PJV: Let us start with all the things that you have done in your life. You have been a civic leader, businesswoman, you ran a non-profit, yor are a mother and a wife. Why have you now decided to run for Congress? Well, I think my involvement with politics grew out of my growing awareness that there are problems that can only be answered or can be best answered by seeking political office. My community involvement – first as a business owner, and later as the founder of a non-profit community organization -- is what really led me to run for mayor of Allentown. In that executive position I would have a significant impact in helping our city revitalize itself. . In the third largest city in the state of Pennsylvania, I only lost by forty-six votes in that race. I have continued work to revitalize the region through my non-profit. I was not discouraged. Maybe most powerfully for me, there is a family story that made me stick my head out of the foxhole again, to run for U.S. Congress. My stepfather grew up in Germany and his father, my step-grandfather was the leader of the Hamburg Resistance Movement during WWII and was guillotined by the Hitler regime. My stepfather was in labor camps, and his mother died in a labor camp. And so, we have a very powerful experience in the family of going to Germany on a periodic basis to see these memorials. There is a memorial in Hamburg , Germany to my grandfather and grandmother recognizing their work in the resistance movement. I am very, very concerned that our constitutional rights are on the same slippery slope that good Germans (like my step-grandparents) found themselves on, as Hitler was coming to power. Their resistance one of the primary reasons that I am running for Congress. PJV: That is a very interesting history. Let us talk a little bit about that constitutional issue. This administration of President Bush and some before him have talked a lot about providing funds to faith-based organizations and to affiliating federal services with church services, some of which are providing some very good services, some not so good services. There are community -based locally run services, and that is always good in neighborhoods, but what is your feeling about the scheduled tax payer dollar support of religious organizations, not necessarily religiously affiliated like Catholic Charities or the Jewish Federation which provide non-denominational social services, but to direct support to religious organizations and in general to the breakdown of the wall dividing separation of church and state? And you have just hit on it. I think that this administration has been all too disrespectful of our Constitution and the founding principles around which this nation was created around. One of those key founding principles, key, is the separation of church and state. And so, I find it completely unacceptable for there to be government programs, such as you described, that blur or outright disrespect that founding principle. To take that one step further, I come from a military family, and I take extremely seriously the global threat of terrorism that you know is in everyone’s mind is clearly one of the big national defense issues that all nations need to be paying attention to and are paying attention to, but I am a deep believer that we ought to protect, can, and have to protect our Constitution at the same time that we are vigorously fighting terrorism. I have spent a lot of time researching and educating myself on the facts of national defense and maybe, most particularly because in my district, there is a very vibrant and ancestral Jewish community that my family and I are deeply involved in. And so, clearly, the defense of Israel is of paramount importance not only to me personally, but to my district. And so, to be a responsible candidate beyond even my own personal feelings, I have to be very firm on and very well informed As we are talking about the Constitution and civil liberties. we have to find a mechanism to fight terrorism while also upholding our Constitution at the same time. PJV: And what actions do you think have been going in opposite directions than that? I think the current FISA legislation is a perfect example, the surveillance that is being conducted is not international surveillance, it is domestic and is completely unacceptable. Do we have to take terrorism extremely seriously? Do we have to be outrageously pro-active? Yes. That is how you fight terrorism, and I am very impressed with the fact that to fight some of the missteps in Iraq , our armed forces have really re-invented themselves into a superb counter-insurgency force and, quite frankly, there is a lot that has been learned from experts in this area, from countries such as Israel . That being said, the current FISA legislation is completely unacceptable. PJV: You said that you are from a family of veterans. I believe that you also said that you served in the ROTC. Is that right? Yes, when I was in college in my freshman year. I was a New York State Regents Scholar, which meant that I could attend any state university, tuition free. I attended Potsdam in upstate New York . They had a terrific ROTC. and I served my freshman year and was very proud to obtain Ranger status. And that was really a way for me, Ellen, to determine if the military was going to be my future path as it was for my father and my uncle who both had very distinguished careers. PJV: Clearly, you took a different path. PJV: How do you think that experience and coming from a family of military people, has shaped your thinking about both national security and the way we treat veterans in this country? Well, I think that national security, and I add, that I also grew up all over the world. I actually lived in Saigon , Vietnam during the war. My stepfather ran a plastic surgery unit for war injured children, a very famous unit called the Barsky Unit that treated war injured children on both sides of the conflict. And so, it is that experience living abroad plus my family military experience which has really focused me on the importance of a strong national defense which emphasizes strong diplomacy and foreign aid. These two must work in tandem, and that is a real failure of what I like to call the Dent-Bush Administration. Dent (my opponent) has repeatedly supported George Bush on these terribly failed policies that have taken our nation in a very bad direction. I think it is so important to protect and respect Israel ’s right to exist and to defend itself. We have to take these issues of the Middle East so seriously, but we have to do it in a tough but smart way. Not in this reckless out of touch way that has been going on under this administration. I am a strong believer in a strong standing army and that is the first mandate of Congress. PJV: Right. Do you think the war in Iraq has made the U.S. stronger and do you think it has improved for Israel in the Middle East? I think overall the answer is "No;" however, we do need to be engaged in the Middle East: particularly, we have to take the Afghanistan and Pakistan border situation very seriously. We have to take the Iranian situation very seriously. We have to do everything we can through strong, armed diplomacy to prevent a nuclear armed Iran . We need to hold Iran leadership accountable. We have to tighten sanctions on foreign companies that invest in Iran ’s energy economy sector; We have to crack down on banks, on manufacturing and marketing companies, and on investment companies that do business with Iran or invest in their infrastructure. But we need to withdraw from Iraq in a very responsible way, in a very considered way. PJV: You wrote a book about that. PJV: You co-authored it with a number of other candidates and some military people. Sure. There were ten of us who wrote this paper and then what we did was we presented it to the other challengers nationally. Sixty-three other challengers signed onto it. PJV: What are the key elements? Can you just review your plan? Basically, the most important feature of it is that we framed together seventeen pieces of existing and co-sponsored bills that if passed in concert with each other would represent the kind of comprehensive and sweeping approach to the Iraqi withdrawal that we need including a restructuring of FISA , the Patriot Act and re-engagement and more significant investments in foreign diplomacy and foreign aid: so it covers the whole gamut including support for our veterans which is absolutely critical because, of course, the Bush administration and Dent, in particular, has been absolutely and embarrassingly awful when it comes to supporting our veterans. Coming from a military family as I do, it is completely unacceptable. PJV: Well you certainly seemed to have learned a lot about the subjects and particularly the war in Iraq . Let me ask some questions on the domestic side. PJV: You have received the Allentown Educator of the Year Award even though you are not a school teacher or administrator. PJV: Do you want to tell us what that is for, and give us your position on the state of education and what you would like to see done about it. Can you afford to get to work, and if there is going to be money in the state and local treasury to pay for education. PJV: Before we get to education, what do you think we can do to reduce our dependency on foreign oil? I think we have to have a very dramatic and well thought out strategy that is extremely bi-partisan on this issue that focuses on what I like to call "e-conserve power," and this is a concept, a position paper which I am in the process of developing now to share with my other fellow challengers (just as we did earlier with my position paper on Iraq). Number one is that you cannot separate the mutual interdependency now of energy, environment and the economy. These three are mutually interdependent so any solution for any of them must take into account the other two and within that we must have a very aggressive short term policy that allows people to get to work, allows people to heat their homes, allows businesses to remain profitable and allows municipalities and state government not to become bankrupt -- because the cost of oil has this cascading effect on municipal budgets, business and the household bottom line. So we have to have some very intervention-oriented short term policies to assist at the citizen level to business level and tp governments at the municipal level and state levels. Then we need to chart at the same time a course on very strategic long term investments that the federal government is in a perfect position to execute which it has done exactly the same thing at other periods of our nation’s history. The government must set us squarely on the path of energy interdependence and that is a term I would like us to use: “energy interdependence”. There is no such thing as "energy independence." Where there can be healthy interdependence. Right now my opponent receives a huge amount of his money from oil and gas companies: he comtinues to accept these funds. The failed Bush/Dent energy policy continues, under the false call of supply-side energy independence which ignores our domestic demand, Dent continues the same shortsighted rhetoric supporting the oil man in the White House. And what we need to do is to set a very aggressive path, a ten year path taking our energy come from a healthy mix of environmentally and economically sustainable sources and renewable sources. PJV: Did you say that you are working on a paper that will lay this out? That is correct, and what we have done because of Dent and Bush’s failed policies, we have basically put our whole nation at risk by being dependent on one of the most unstable regions in the world. And that is a huge national defense issue more than anything. It affects thequality of life for all citizens at every level, and our ability for municipalities to provide social services; for business to provide the goods and services which business proves and in the way basic ordinary way of getting to work and to buy food. So what I am suggesting is this ten year course of action as a very aggressive short term approach to help us get over the hump and a very aggressive long term approach is extremely bi-partisan, and one of the key features of it is that we want to assist the current titans of industry from the large auto manufacturers to the same very oil and gas companies to reinvent themselves -- so that you are not a car company anymore --- you are a transportation company. You are not an oil company anymore --- you are an energy company. Your bottom line profits and your bottom line can be directed towards delivering whatever energy makes the most sense at a given period. Whatever transportation mode is the most efficient one and profitable at a given time. So we have to help these folks re-engineer themselves, and we need to provide firm incentives all across the board from homeowners to put more solar panels on their home, to commercial building to green roofs on. And what we are going to end up with is a huge win-win. This also represents one of the most powerful economic opportunities our country needs. This will be an economic opportunity for us in a way we have high paying, skilled jobs and industry dominance appearing in alternate energy manufacturing and efficiency in conservation deployment. PJV: Which sort of brings us back to making sure that we have a healthy, educated work force.. Let us talk about these issues, and then we will wrap up. What could be more important than educating our citizens? What could make sure that they have basic adequate needs met through their jobs and have a healthy economy. What is more important in a global economy than to have the best educated citizens on the planet? So on the local level, I have been extremely concerned with the inequities in funding for education which exist in our state and nationwide That led me to create something called the William Allen Construction Company at our local high school -- one of our largest local high schools in the state of Pennsylvania in a beautiful historic building, Ellen. But it was falling in disrepair because the urban school district where my children go to school only has about $6-9,000 to invest per pupil whereas if you go fifty feet in another direction, you have a suburban school district which has over $13,000 to spend per student. So this high school is falling in disrepair because the maintenance budget had to go to books and paper. PJV: We fund our schools through property taxes. Correct. So I created the Allen Construction Company working with a dear friend who is a very staunch Republican and owns one of the largest general construction firms in the nation, and we created a construction company in the high school, and the students ran it. The funding comes from non-profit and foundation streams. Creating that system in the high school where the students would pick the projects , hire the contractors and execute the work so that they are the one directing the electricity contracts, the painters and all it takes to get this work done. Because they have been doing such an excellent job, there are opportunities for them and learning in addition to a diminution of vandalism, because they are the ones who executed the work and planned it. So, this is just a small example of some of the private and public projects created to solve some of these seemingly intractable issues. And when we look at the issue of education, not only do we have to take a long hard looks, it is also not enough to say that we have to get rid of "No Child Left Behind," what we have to do is to say, "Where do we want to be as a nation? "What is the best course of action to get there? : And what do we need to be to have the best educated citizenry in the world?" Period! We have some of the finest universities in the world. They are the envy of the rest of the world. That is where we have done well, but we have not been able to quite figure out is K-12. We must figure it out. And another thing that we have to do is we have to actively engage in educating the educators themselves in this process. Who better to help us chart a national course of action than the educators themselves who have dedicated their lives for it? "No Child Left Behind" has created a very significant number of local crises including a dramatic increase in the number of teachers who do not stay in teaching and the greatly reduced number of people going into education and a huge loss of long termed teachers in the system who basically opt to retire early. That is what has created some very significant problems for us in the near term.. We need to solve these issues, and we have to look at where do we want to be as a nation, and we have to figure out how to get there, and we need to include the educational community in charting that course. PJV: Do you think that we should have and will achieve universal health care? Yes, I absolutely think we can achieve universal health care. We need to acknowledge that this will in all likelihood not be a single payer system. What I am saying is that I will not accept government underwritten health care until every citizen has access to health care as good as every member of Congress. It is a moral issue, but I am also suggesting that we need to write legislation like car insurance where every car driver in America must have car insurance. Every citizen must have health insurance, and by making a simple requirement that is going to immediately lower some of the dramatic offset and distorted costs in our system. We have the highest administrative costs of any nation in the world at 30 cents for every dollar. PJV: You were supported by Mayors Ed Pawlowski of Allentown and John Callahan of Bethlehem and Salvatore Panto of Easton . What do you think they would hope for or would expect from a Congressperson Bennett that they do not get from a Congressperson Dent? There was a time, for example, in the Clinton administration where it was acknowledged that the best way to provide quality of life for our citizens was to make sure that they felt safe-in their own streets, at home and in cars. There was financial support that was provided putting additional police officers on the street. That program disappeared under Bush. We need to have a similar program re-instated. Allentown struggles with gun violence and so does Easton . In addition to that, they know from my work in non-profit and my deep involvement in my community that I get it. I live in the city, and my children are educated in the Allentown public school system in We are deeply involved in the life of the third largest city in the state of Pennsylvania . Those mayors know that we cannot be healthy as a Congressional district without our cities being healthy. I am a real believer, Ellen, in the only kind of leadership-leadership by example. By being a Congressperson that lives in the city, educates my children in an upper urban school district with a number of challenges, that I will be a Congressperson who will day in and day out know what their issues are and can work collaboratively with them to solve some of the issues they have. Unless our cities are healthy, our suburbs and rural area will not be healthy either. PJV: Well, as the daughter of a math teacher in the Philadelphia public schools for over thirty-five years I could not agree more. And if I could, I would like to mention some of my endorsements from the Allentown Jewish Community. I have been endorsed by J-Street Joint Action Committee for Political Affairs, and also J Street . My campaign treasurer, Jeanette Eichenwald , one of the most wonderful and pre-eminent women in the Jewish community. She is the head of Schools Program Coordinator for the Institute for Jewish-Christian Understanding at Muhlenberg College . Jeanette was recently elected to join the Allentown City Council and the Allentown School Board. I am deeply complimented by her involvement in my campaign. PJV: Ok. Here is my last question. Please pronounce your name for me. Siobahn (She-vaughn). It is an Irish name and few people seem to be able to sound it out. PJV: It is not so hard to say, once you hear it pronounced. People have called me “Sam” since elementary school.